It’s that time of year! 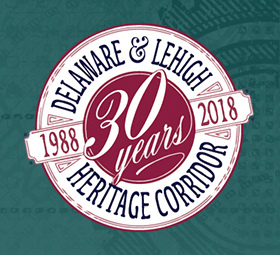 The Delaware & Lehigh National Heritage Corridor is honoring its volunteers at a luncheon this weekend, where Board Chair Michael Drabenstott and D&L Executive Director Elissa Garofalo will say a few words, volunteers will enjoy a catered lunch, and we’ll present a special award. We are excited to welcome volunteers like Gerry Tocchini of Easton (pictured at right) to thank them for their service and commitment to our mission. Not only is Gerry a doting mother and grandmother, she serves as a volunteer docent at the National Canal Museum and the Locktender’s House, where she educates museum visitors about what canal life was like, and how our region played a role in the industrial history of the nation. 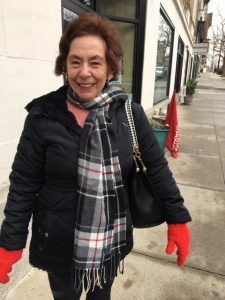 Gerry is excited to join our D&L Ambassador training this spring because she loves educating and connecting with our community. 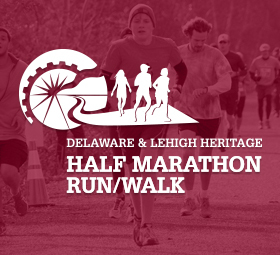 The D&L Ambassador Program is a training program for individuals who are looking to increase their involvement with the Delaware & Lehigh National Heritage Corridor and D&L Trail and take on even greater responsibilities in new roles as volunteers. 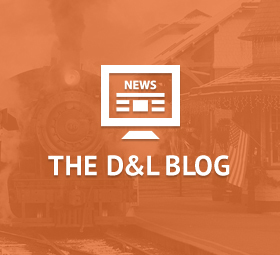 D&L Ambassadors are an extension of our D&L staff who can lead projects, speak out in the community about our mission, and help us enhance and protect the treasures of the D&L Trail and Corridor region. Sign up for our training being held from Saturday, Feb. 2 – Friday, May 10, 2019 using the 2019 D&L Ambassador Application.